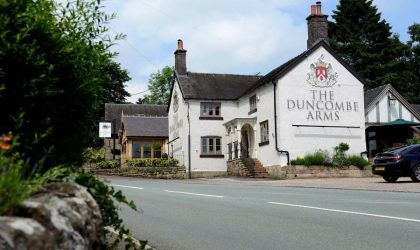 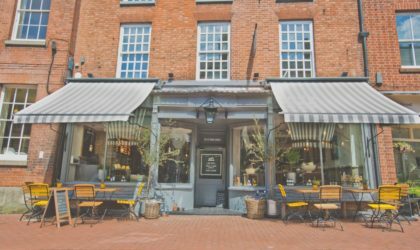 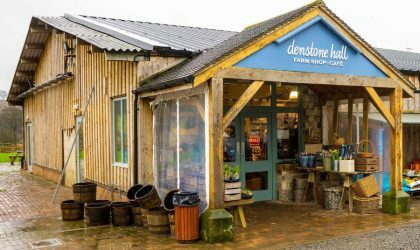 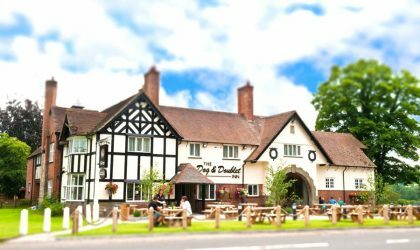 Don’t let the Derbyshire postcode fool you; The Duncombe Arms sits on the Staffordshire side of the county border and, with this class of cooking, our Staffordshire editor insists upon that! 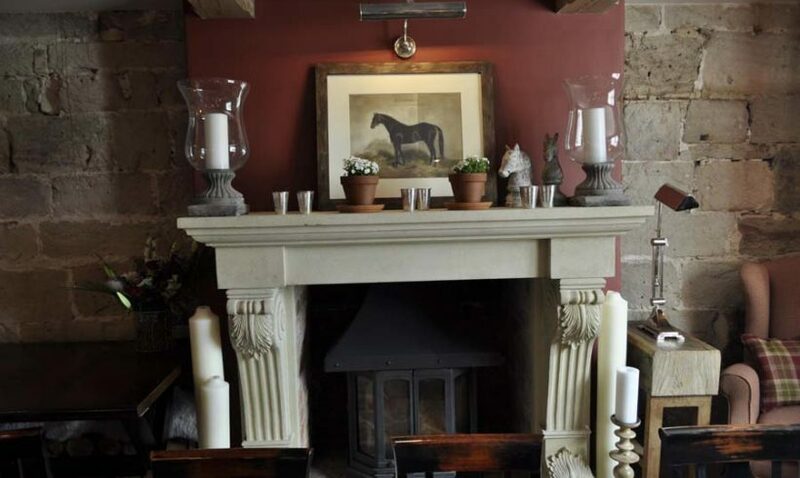 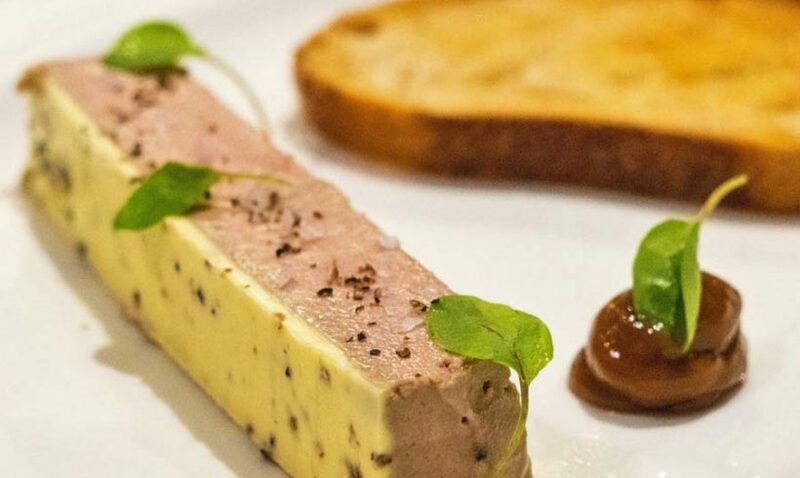 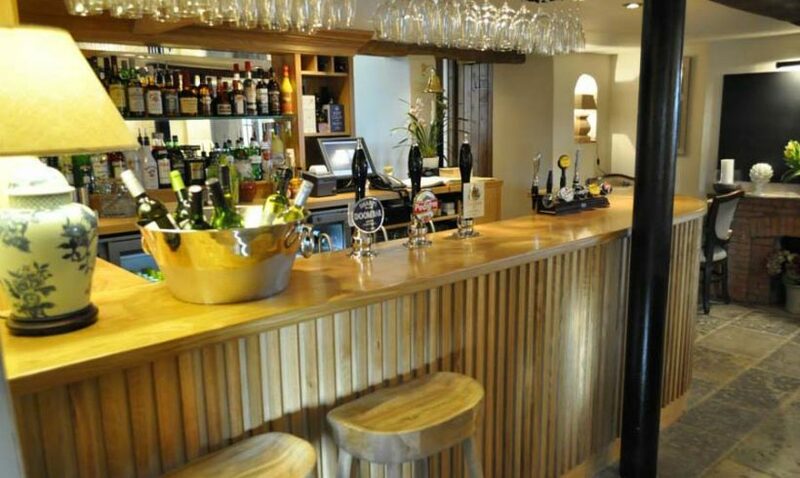 Situated in the village of Ellastone, The Duncombe Arms presents a winning combination of friendly, local country pub with food more associated with fine dining. 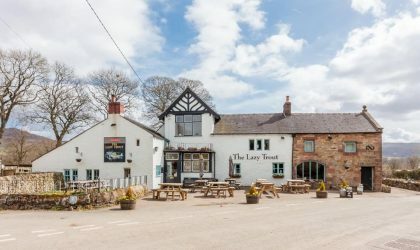 After taking over the boarded-up village pub, owners Johnny and Laura Greenall (Johnny of the famed Greenall brewing family and Laura a descendent of the Duncombe family from which the pub takes its name) undertook a major renovation and, re-opening in 2012, breathed new life into the 1850’s building, creating characterful spaces that combine elegance with tradition. 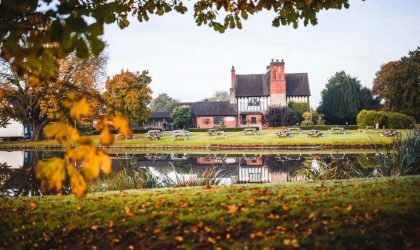 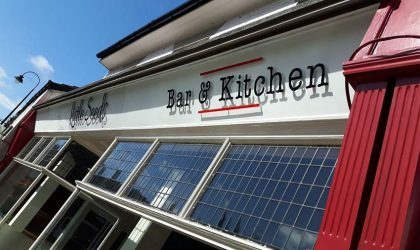 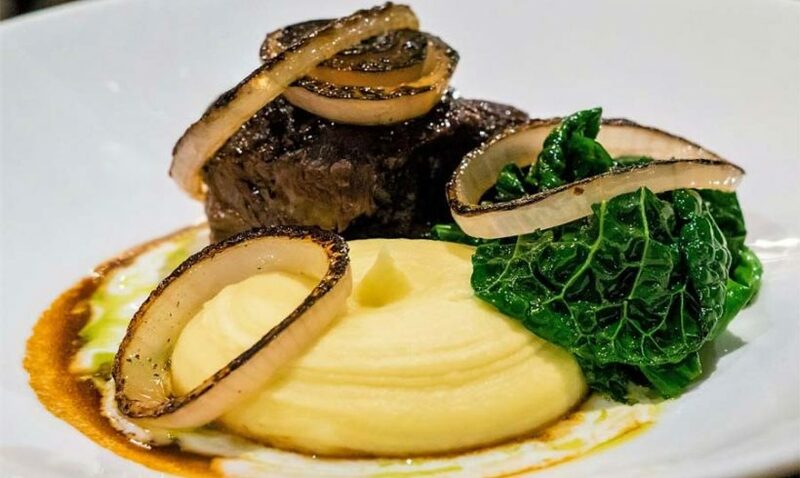 Head chef Stuart Langdell, who’s previously worked under Marco Pierre White and at a Michelin-starred pub-restaurant in Warwickshire, blends his take on pub classics with modern British dishes that highlight local and seasonal produce. 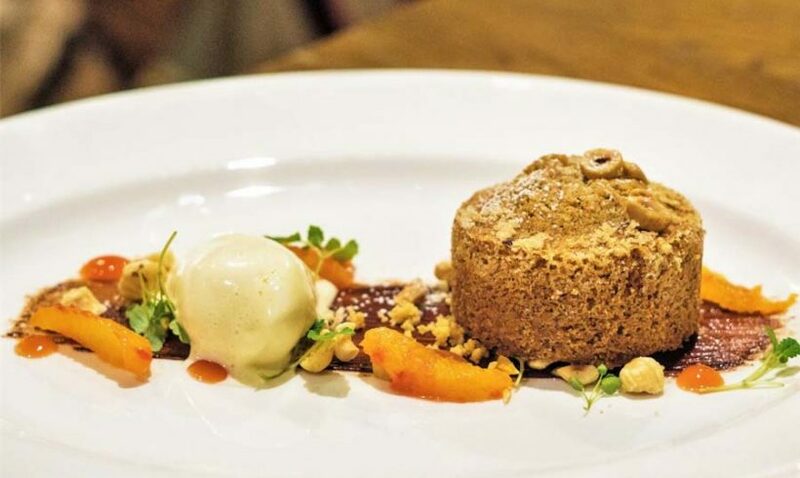 Dishes we’ve loved include crispy pig’s head with Yorkshire forced rhubarb and smoked pancetta; chicken liver parfait with black-truffle butter; braised beef cheek, smoked onion, cavolo nero and buttermilk; hazelnut cake with blood orange; and rhubarb soufflé with cardamom custard. 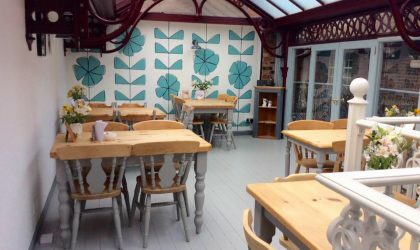 The excellent-value Market Menu, at the time of writing available Monday to Saturday lunchtimes and Monday to Thursday evenings, might include celeriac soup, followed by chicken-and-ham pie, with sticky toffee pudding to finish. 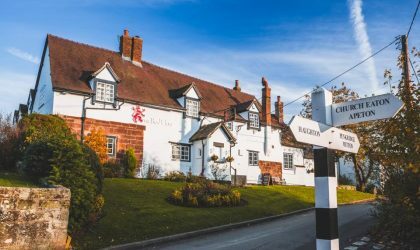 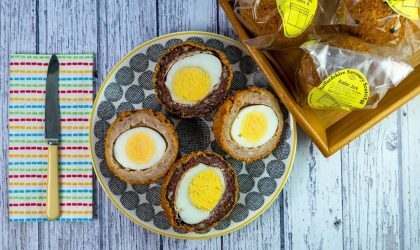 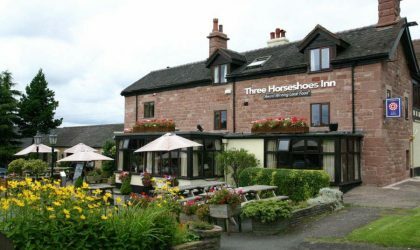 There are also individually priced pub classics such as ale-battered pollack with triple-cooked chips, Hereford beef burger and a ploughman’s board. 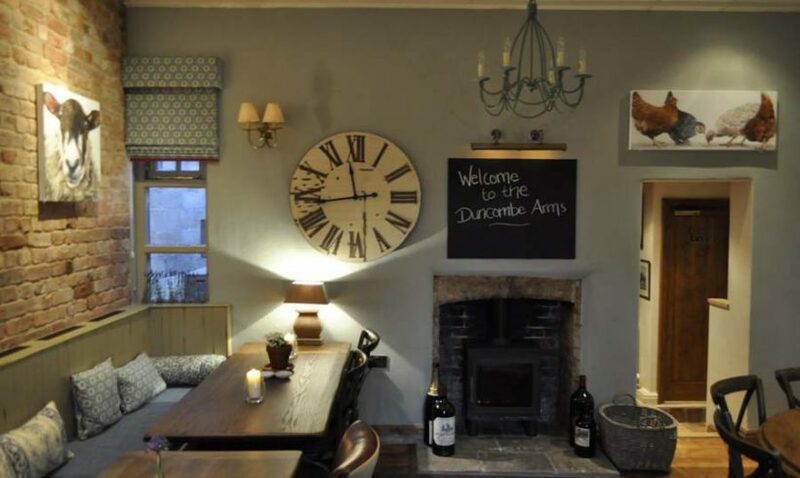 With exceptional food, a relaxed, informal atmosphere and a welcoming, efficient front-of-house team, it’s no wonder The Duncombe Arms has been described as “the local we wish we all had”.